As a tool to assess impacts of various environmental issues associated with products/processes/organizations through value chains, AIST has developed environmental impact assessment method (Life cycle Impact assessment Method based on Endpoint modeling: LIME) that contribute to comprehensive assessment of different impact categories (14 categories: e.g. climate change, resource depletion, toxic chemical substances emission, waste landfill etc.) considering trade-off between environmental categories. Water resource scarcity attracts more attention in life cycle assessment (like Water Footprinting, which is standardized by the ISO (ISO14046)), while the previous method does not account the impacts of water consumption. We develop assessment models to assess the impacts relevant to water consumption, which is applicable to not only water footprint assessment but life cycle assessment. Currently, assessment models of human health damage related to domestic and agricultural water scarcity are available for the assessment of water consumption on global scale*1, *2. While various institutes have developed life cycle impact assessment models, the existence of different models for the assessment of the same impact category may cause confusions in practice. In this context, the international initiative (UNEP/SETAC Life Cycle Initiative) has promoted consensus building of life cycle impact assessment models and indicators with by collaborating with international experts and stakeholders. We join this initiative to improve reliability and applicability of assessment models in practice through the international collaboration. We aim to advance and sophisticate impact assessment models for the sake of more precise and reliable assessment of impacts over different environmental issues. Especially, the interaction between climate change, water consumption and land use is of high significance. We are now developing the model to assess the impacts of the interaction between different environmental issues*3. Securement and management of metal resources have been one of the most critical tasks in developing industries and technologies. We are developing methodologies and data that contribute to mitigate environmental loads caused from metal production and various risks for metal supply, as well as to solve other traditional resource problems. 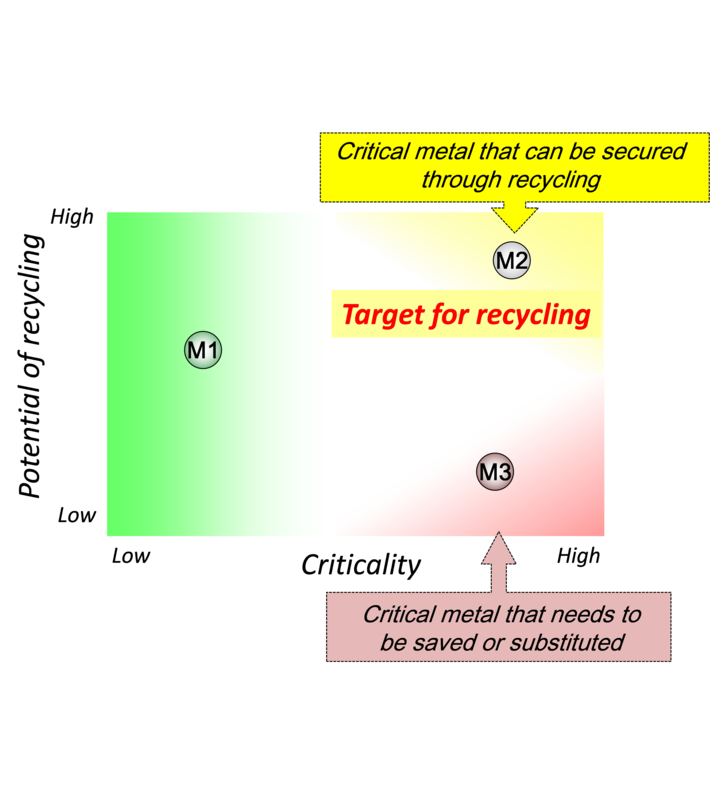 Our research on criticality assessment aims to detect inherent risks and resulting critical metals for Japan. The Japan’s framework of criticality assessment is developed by considering new risk aspects e.g. sufficiency of mineral interest, and we will discuss the effectiveness of the framework with manufactures, recycling industries, governments and various stakeholders. Material flow analysis (MFA) is an another key tool for our research to evaluate the domestic resource potential obtained through recycling in future. The results of MFA, especially for minor metals, would also be embedded into IDEA. These researches are expected to provide basic knowledge of Japan’s resource strategy and technology roadmap for recycling that would be realized within the Strategic Urban Mining Research Base (SURE) of AIST. Figure 2. Criticality scores of metals in Japan, 2012. Hydrogen from renewable energies and primary energies with carbon capture and storage (CCS) does not have carbon dioxide (CO2) emissions from its production stage. Hence it is called “carbon-free hydrogen” and is expected to play an important role as a near-future energy to mitigate greenhouse gas (GHG) emissions and to ensure energy security in Japan. From a life cycle point of view, however, these technologies do have environmental emissions due to energies and materials inputs for renewable electricity facilities construction; for capturing CO2 from power plants or gasification-based processes; and for hydrogen storage and transport. Energy inputs and emissions throughout the total hydrogen supply chain should be evaluated when discussing the contribution of carbon-free hydrogen to GHG emissions and energy diversity. Among the variety of hydrogen supply chains, our research group has been conducting a life cycle inventory analysis of intercontinental transport of carbon-free hydrogen (see the figure below) using energy carriers (LH: liquid hydrogen, MCH: methylcyclohexane and NH3: ammonia) using the life cycle inventory database IDEA (Inventory Database for Environmental Analysis), which has been developed by our group. The study will extend the target hydrogen to fossil fuel reforming hydrogen and its combination with CCS technologies, byproduct hydrogen from steel and caustic soda industries. It will also include hydrogen end use technologies such as engines, turbines, boilers and fuel cells to discuss the value of hydrogen technologies in the current energy system. Biomass has the potential to substitute fossil fuels in the production of bio-based products because of its renewability and carbon neutrality. The use of biomass could support the reduction of anthropogenic carbon dioxide emission to the environment. 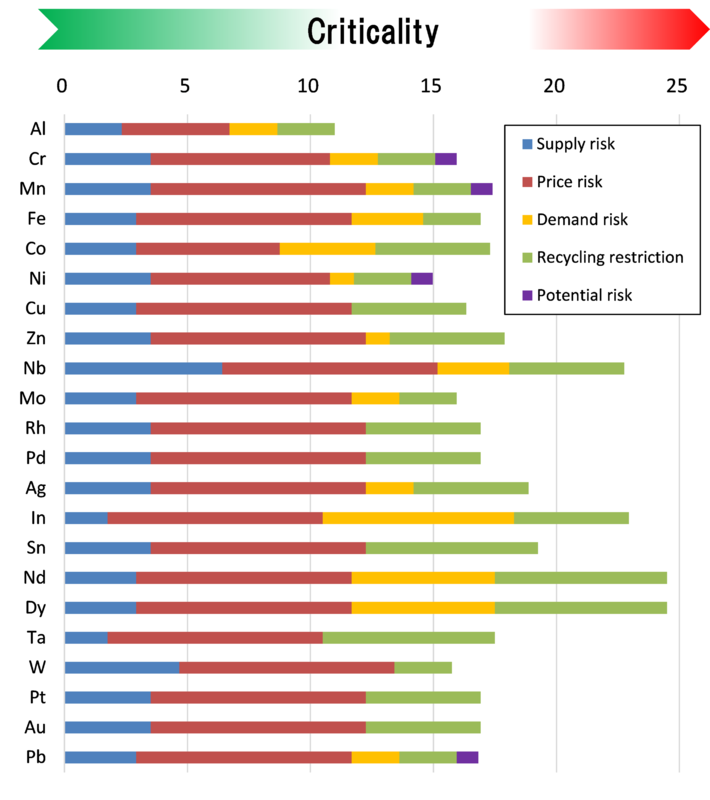 Since biomass resources should preferably be converted to a maximum of beneficial products with a minimum of harm to the environment, impacts must be assessed carefully before significant resources can be dedicated to the development of a new biorefinery technology. A bio-based product which requires much energy than petroleum derived products is questionable from the life cycle assessment (LCA) perspectives. Our research group has been evaluating the total process of biomass utilization (Figure) using a LCA approach. Since cellulose nanofiber (CNF) is a promising industrial materials due to its excellent mechanical properties, we assess the energy consumption and greenhouse gas (GHG) emissions for preparing CNF from woody biomass as a case study. The GHG emissions of CNF preparation are comparable to that of petroleum-based plastic, taking into account carbon fixation of the biomass. Since the effect of technology improvement on GHG emissions based on sensitivity analysis shows that the grinding processes was found to be a major contributor of GHG emissions, the development point of the technology is to reduce the power consumption of these processes. We also investigate that the GHG reduction effect of CNF utilization as the composite materials for plastic and rubber parts of vehicle. It is also necessary to conduct a sustainability assessment of the product since the use of biomass does not automatically imply that its production, conversation and distribution are sustainable. We are now investigating a framework for sustainability assessment, including environmental, economic, and social impacts, based on lifecycle thinking through a case study on biomass refinery.